We support traditional PC based POS systems, so we can provide your business with a total merchant service solution integrated with the point of sale system of your choice. If you don’t have a POS system, our experts can help guide you to the best system for your needs. Leap Payments offers integration services for most iPad and Android-based tablet POS systems. In fact, we are certified resellers for many systems, giving you the freedom to implement the solution that will best serve your business. If we don’t already resell the system that you are interested in, Leap Payments can still connect your merchant account to 99% of the systems available. We never push one particular system on you and let you choose the best option for your business. Think of us as business consultants who work with these systems every day and can help advise you what system will work best for your business. Mobile POS solutions give your business more flexibility when working with customers. Whether you manage a mobile business, such as a food truck, or want more versatility in your brick-and-mortar shop, mobile POS systems are the answer. 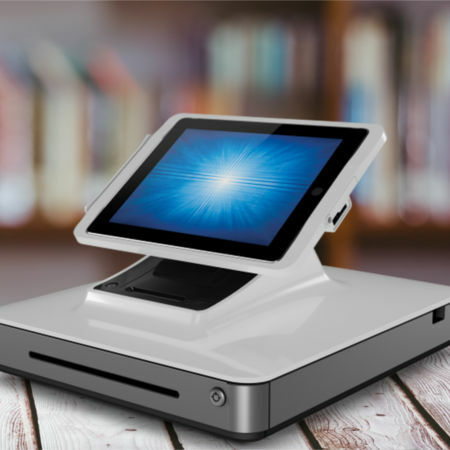 When using a POS system that integrates with your iPad, you are truly able to take sales on the go and complete transactions from anywhere you have an internet connection. Improved Customer Service – Complete sales anywhere in your store, allowing customers to purchase immediately without having to wait in long checkout lines. Easy Inventory Management – Integrating a mobile solution with your inventory management system gives employees and management an easier way to manage items in stock and know when it is time to reorder supplies. Build Customer Databases – Easily capture contact information for customers to increase the efficiency of marketing campaigns and outreach initiatives. Emailed Receipts – Save paper and reduce environmental impact by emailing receipts to customers. This also assists in capturing email addresses and speeds up the purchasing process. Mobile Payments – In addition to having a mobile system that allows you to be on the go for your business, your solution can also empower customers to use mobile wallets and payments to complete their transactions. Implementing a mobile point of sale system in your business gives you the tools and resources needed to take your company to the next level. Working with Leap Payments as your credit card payment processor makes it easy to manage your merchant account and simplify the payment process for your customers. See how easy it is to set up and use a mobile POS system with a tablet by connecting with one of our representatives and choosing the best solution for your unique situation.